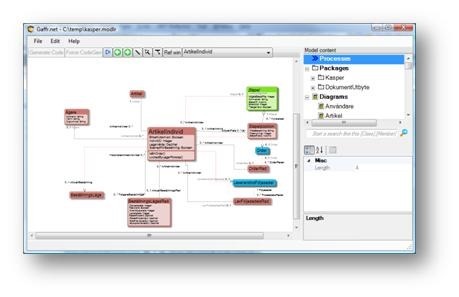 MDriven Designer is a standalone windows application that allows you to model and design information systems. 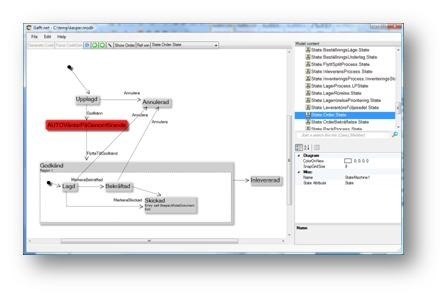 Models created with MDriven Designer rely heavily on standards as UML and OCL. You can execute your model with the MDriven Designer built in prototyper and you can upload your model to a MDriven Turnkey site to have a fully functional information system in the cloud. 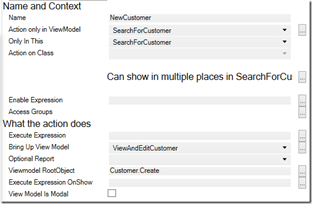 You can use your model in MDriven Framework for Visual Studio to have a complete code representation of your models business layer. Using MDriven Designer is very much like having a full stack software development team made out of software – it reacts in seconds – in does exactly what you say – it only questions you when you are inconsistent – it will do a good job of merging changes into existing information structures to keep data – it will follow every rule on how to create scalable normalized databases that are easy to read and understand – it will never get tired – and it is really fast. You can follow along with the real time paced video playlist that describes MDriven Designer found here. Now iterate, continue, add more, forward, forward, forward. Working this way will build up a complete lexicon for your domain that will act as the only documentation you will need to understand and evolve. You will have a platform for continued evolution of business processes. You will have full ownership of your business master data and the power to transform it to everything you need. MDriven is software modeling and prototyping made easy. You do not need to know Java or c# to fully test your ideas for advanced information handling. You just need to learn how to model and you will get instant gratification. If you already know c# or Java you will be amazed on how quickly you can verify your ideas with MDriven compared to alternative prototyping schemes. Furthermore MDriven can take you all the way to a finished system – in the cloud or on your server – with web based user interface or/and with a rich client application. MDriven uses full-fledged relational databases as information storage and will scale with your needs. MDriven is totally transparent in architecture and you will never lose control of your data. With MDriven you can continuously progress systems easily making you truly agile. If you used to use excel to handle information MDriven will strike as much more type safe, precise and efficient way to get things done fast and to have things stay done. If you used to write requirements for software with text, images and mockups, MDriven will change the way you interact with stakeholders and developers – removing a lot of confusion and speeding up the process. Modeling will make you think further and faster about information. MDriven is free to use for up to 50 information classes – enough for even non trivial systems. Take the guesswork out of constant change. MDriven Designer is a repository builder used by enterprise-information-architects to document the collected knowledge about what it is that make a business tick. Having a documented repository off all the assets in form of processes, information, taxonomy, information-use per process step and the rules that control the dynamics of the information is desired in most businesses. To keep this ever changing web of information up to date used to be hard work; MDriven Designer solves this and will let you take control. With MDriven Designer you catch the basic business processes – name them and define their steps so that everyone can see and start to use the terminology when formulating requirements. 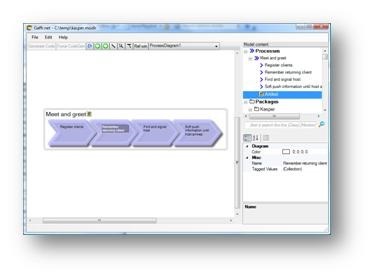 With MDriven Designer you build class models that define the information used by the organization in UML class diagrams. 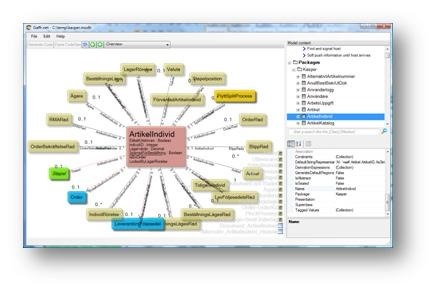 You can add rich text documentation for all artifacts so that the MDriven Designer model can act as the dictionary and taxonomy for the business. This will enable your stakeholders to share a common language – the first step for communication. 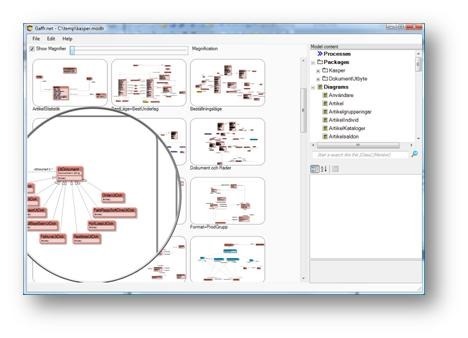 With MDriven Designer you define the state machines that describe the dynamic behavior of your information. MDriven Designer lets you define guards and effects in object constraint language (OCL). With MDriven Designer you can define how the information is used by a user interface (UI) that solves a use case. Not only does this make it easier for non developers to say “yes” or “no” to solutions, but it also remove all uncertainty otherwise left to implementers. 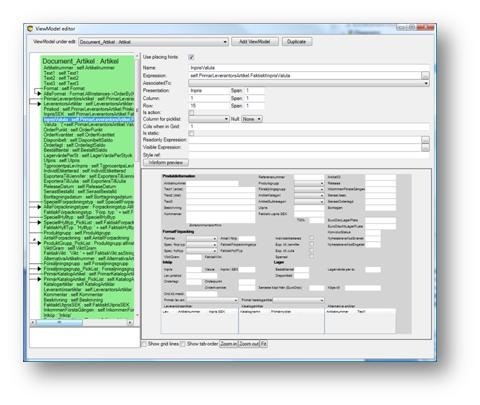 With MDriven Designer you can execute your model and let users test run their requirements. Having an up to date idea on how your business works is just common sense. How do you solve this today? If you do not; is it not very hard to know how proposed changes will affect the rest of the business? When a requirement states that you should add, drop or change a piece of information how do you know what processes that will be affected? When you have your business modeled in MDriven Designer you will see all associations between information and processes and you will know instantly if a requirement is realistic or not and what effect it will have. If you cannot model a specification with MDriven Designer you should not send it to production. If you can model the specification with MDriven Designer use MDriven Framework to produce.